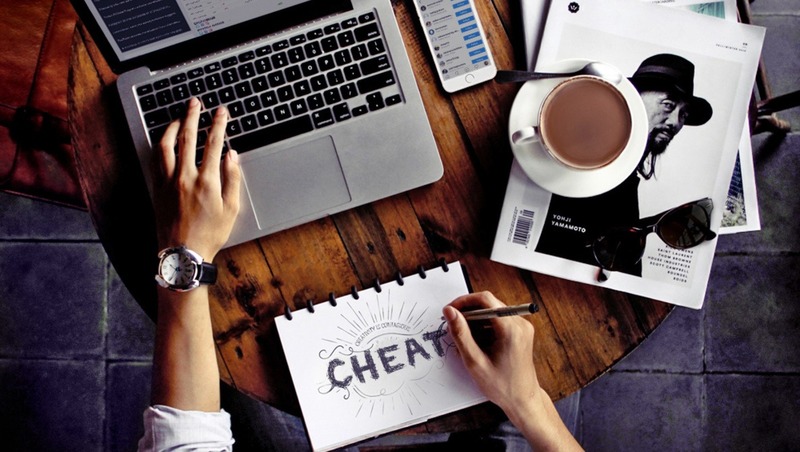 Being able to recognize an Instagram cheat will stop you getting ripped off and taken advantage of by brands, models, and colleagues alike. 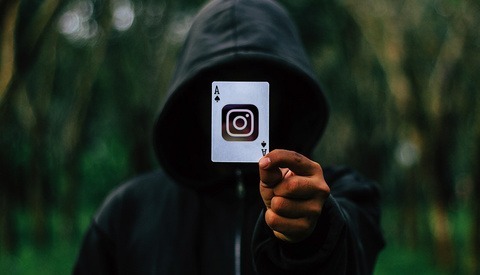 Once you know how to spot a faker you'll be surprised at how many accounts are actually doing it and how sophisticated this deception has actually got. Today I want to concentrate on Instagram as it's all too easy for the numbers to be faked. If those figures have been wildly inflated and you don't realize you could be wasting a lot of your time and energy on them. 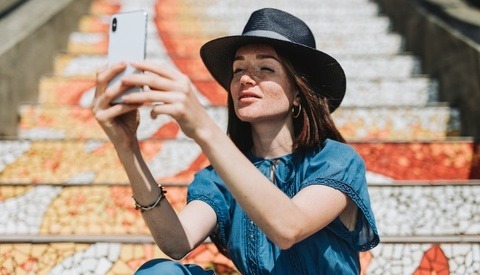 Chasing clients who look amazing on social media but actually are not could mean you miss legitimate work elsewhere or even worse consider working for free in return for some non-existent exposure. This does not just apply to companies either as lots of creatives and models use the same tricks too. Many of you may think what they are doing is harmless but when you are basing professional decisions on figures that are false, it's actually a serious matter. You also have to think that if someone is willing to deceive you on their success on social media what else may they be lying about. 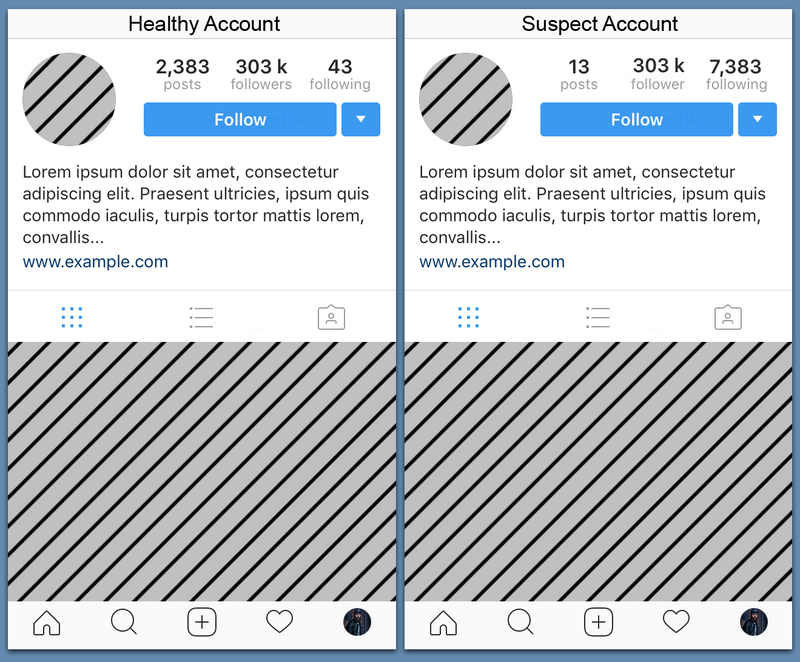 So without further ado, here are the techniques I use to spot a faker on Instagram. The first thing I do when I land on a professionals Instagram account is to check all the numbers. I know this is pretty basic and most of you already do this so we won't go into too much detail here. Things that would start the alarm bells ringing is if they have very few posts and thousands of followers. Unless you're a household name you won't gain high figures with only a handful of images. Real organic accounts that have been running for years will have hundreds of posts and earned their audience. I also like to look at the "Following" number as well. Big accounts can follow a lot of people but if they are following close to Instagram's maximum of 7500 users then you have to start thinking that they may be following that many in hopes of getting some follow backs. Authentic accounts don't use such desperate techniques. Next, I would be looking to see how many likes and comments an account was receiving on several of their images. If an account has 300k followers you'd expect them to receive thousands of likes and a healthy number of comments too. So you've glanced at the figures and checked the engagement and all looks good. Just before you hang up your investigator's hat and call it a job done there is more work to do. 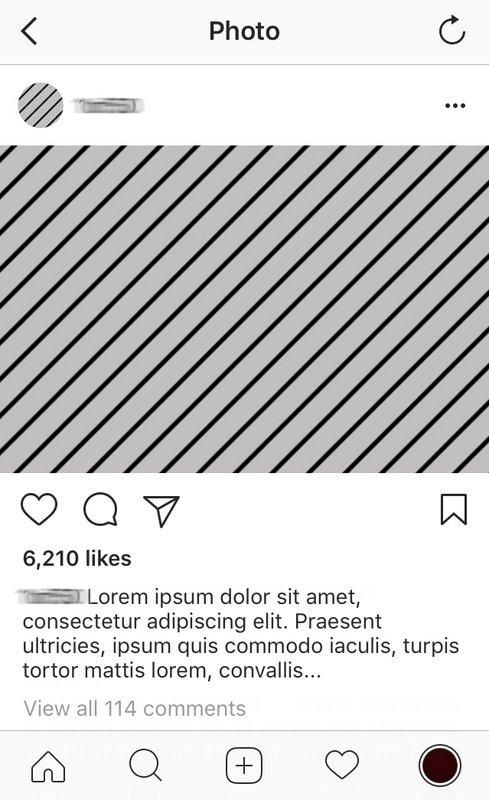 The problem we all face on Instagram is EVERYTHING in the images above can be faked. Followers, likes, comments, and video views can all be bought. Operations are getting so sophisticated that the figures can be drip fed into a page so they don't arouse suspicion and the comments can be written in advance so they appear to be directly referencing the post in question. If things look too good to be true on an account take a look at the kinds of people who are leaving the likes and making the comments. As you can see in the image above a lot of that engagement is left by unmanned empty accounts. If you scroll through the followers or likes section and see a lot of blank profile pictures you can guarantee someone is paying to inflate the numbers. In our example its quite easy to spot this but in real life, it won't be so clear-cut. Sometimes the businesses who are paid to fake these numbers actually bother to add profile pictures, but not always. You can still get a good idea by clicking on several profiles within those sections and looking at how healthy their accounts are. Usually, these unmanned accounts will follow thousands of users, have very few posts, and very few followers. If you click on their last posted image it will probably have been posted a very long time ago. Even if a suspect page passes all the tests above I will still check out the stats with a third party website. 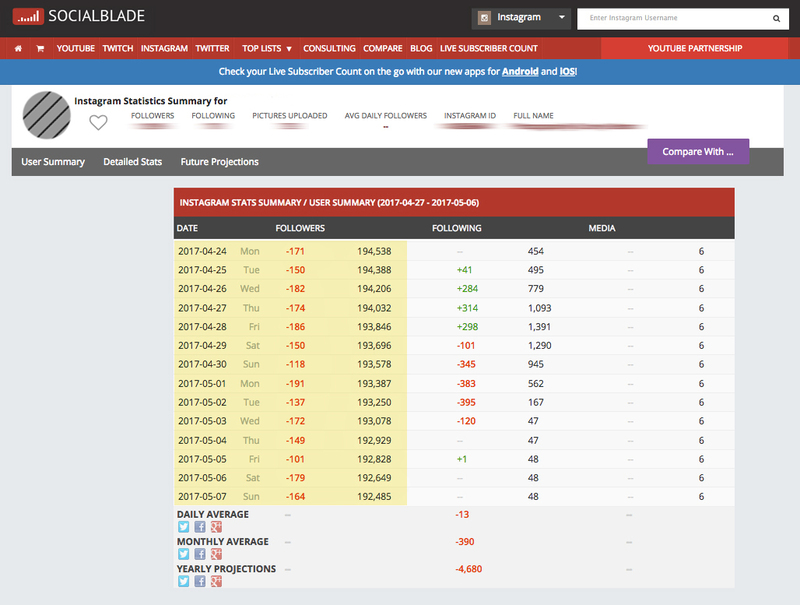 I like to use the website SocialBlade.com which allows me to see a whole range of information on any public Instagram account. The details the site can generate for you are super useful in helping spot suspicious activity, best of all it's free to use. 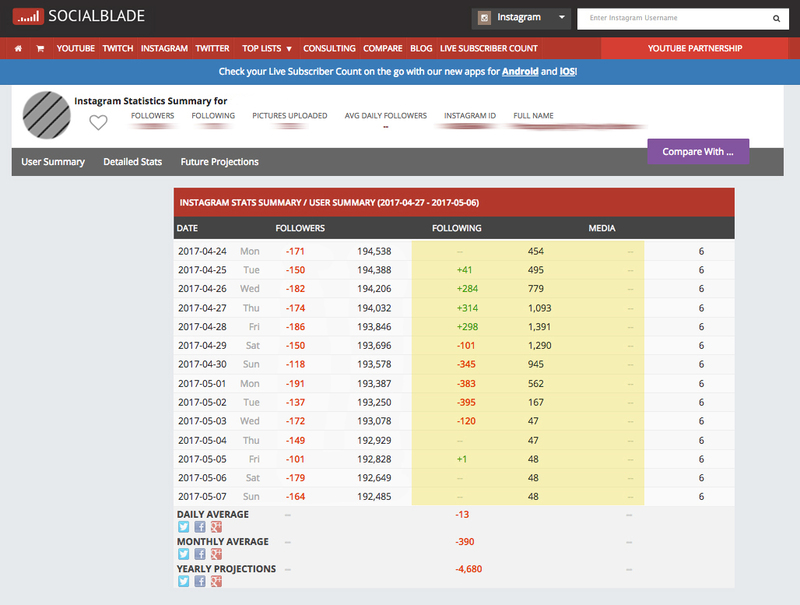 If the account in question has never been searched for on SocialBlade the first time you input the name the website will add it to their list of users to crawl so give the site a few days to monitor things so it can start to build up a picture of behavior for you. This is an example of what you will be greeted with on their page. The user has some very suspect activity going on. If we look at the "Followers" column we can see the account is losing on average 150 followers per day. Some big accounts do loose that many when their content changes drastically but to me, this constant drop in numbers is more likely because said account has bought followers to inflate the numbers. The problem with fake followers is as soon as you buy some you start losing them as Instagram likes to delete fake accounts. This is what we can see here. If we move onto the "Following" column this one is a little more black and white. Or in this case red and green. 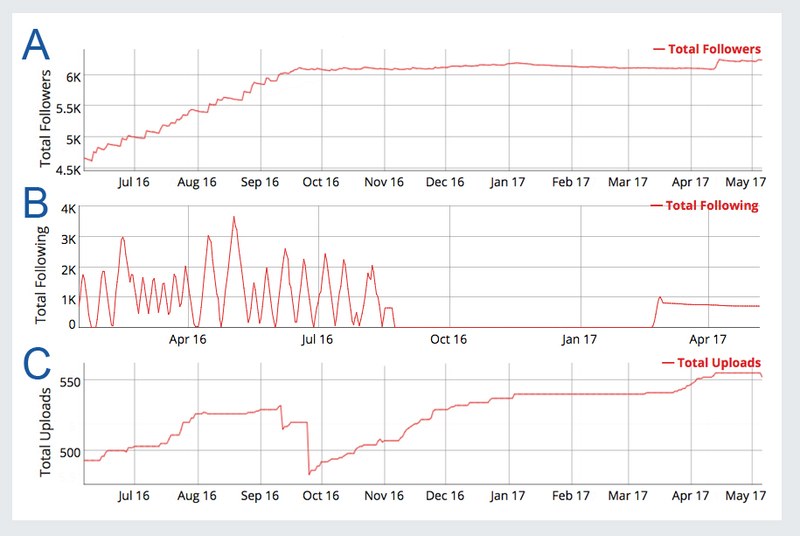 The red negative numbers show when the account was doing a mass unfollow and the green positive days show when they were doing a mass following session. Although this activity isn't as dishonest as buying followers it's bad form for any professional individual or company to be doing it. Finally, I wanted to share with you the powerful graphs which also come with the site. These are especially useful as they show the activity on an account for a much longer time frame. The graphs here go back to July 2016 so if a person or a brand have been doing any tricks in the last several months you'll be able to tell. Graph "A" is a good example of an account who was buying small amounts of followers at a time. The line looks more like a set of stairs! Organic growth would look more like a smooth gradual line. In the first quarter of Graph "B", you can see the follow/unfollow method I mentioned previously. The account spikes between following a few thousand right down to single figures many times over, again this behavior isn't what you'd expect from a reputable account. Last but not least graph "C" shows an account with a sudden drop in uploaded images in late September 2016. This happens on many accounts when people have a spring clean but it also happens to accounts which have been grown by another user and sold on. After the sale, the account will be stripped of its original posts to make way for the new content and the name usually changed. Thankfully with sites like SocialBlade, this information is available for us all to see and so making it harder for accounts to be fraudulent. So there you have it, these are the ways I personally go about assessing Instagram accounts and although some of you might think this is all a bit excessive there really are legitimate reasons why you may want to make sure a company or individual are as successful as they claim to be. It could save you a professional headache and lots of energy in the long run. I hear you, Jonathan! The thing is, it's hard to ignore a platform which has 700 million active users. Keep in mind that being added to the SUL can show similar follower spikes. Hey Casey, what is SUL? 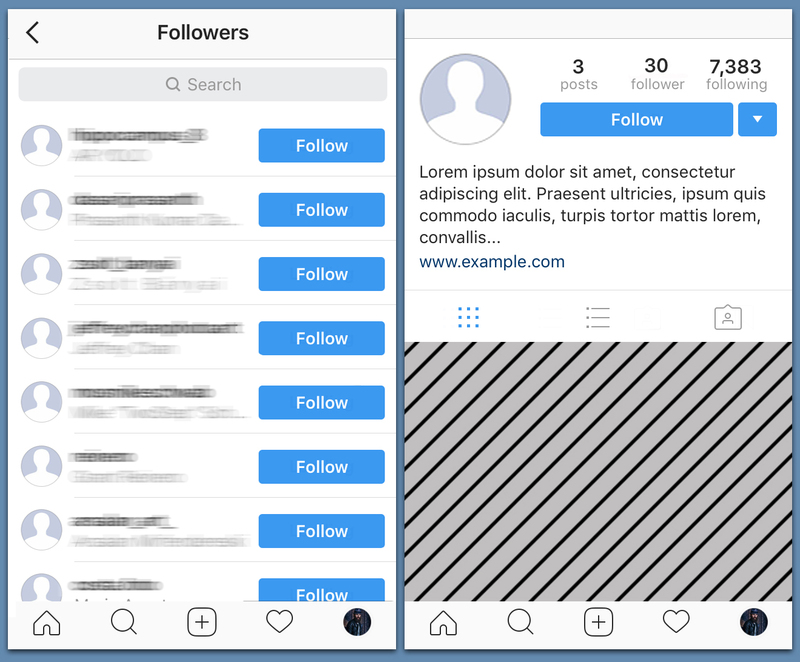 Instagram's suggested user list that all new signups see when they sign up for Instagram. It recommends 20-30 fresh faces to follow and cycles through new artists every month or so. Artists are invited to participate by Instagram. Great point and thanks for the follow up! The buying followers thing is just so dumb to me. I know guys who have 10-15k followers, and get less engagement on their photos than I do at just over 1k. What a waste of money, especially for something so trivial! Yeah... On the one hand you never want to put too much stock in what other people are doing (or claiming to be doing) particularly on social media. On the other hand, when you see someone doing something fundamentally dishonest it's hard not to be offended by it - particularly if they're actually profiting from their dishonesty. I know a couple of models with huge followings (100K+). I was amazed to see that their posts would only get around 50-100 likes and maybe 5 comments on the first day. Then after a about a week these same posts would suddenly get a couple of thousand more likes but no additional comments. Very strange. You make a lot of sense Pete, I just want to try to make sure we're all on the same page so we can spot the cheaters a mile off.